I am a freelance writer in Rome, writing about a city I love (as well as about Italy and beyond but more on that in the Press Section). In fact, I found so many places and things that I love about Rome that I decided to put them all into one app called Discover Rome. I’m originally from California, but I have been living in Rome full time since 2010. I moved to the Eternal City for graduate school and thought I might stick around for a little while longer. Most days you can find me at my 1950s kitchen table turned desk, or running around Rome to find new unexplored areas or to visit some of my favorite spots. If you are wondering why I stayed in Rome, more on that is here. But (spoiler alert) a lot of it had to do with Jimmy, my Irish husband. But it turned out to be the real deal. Our son was born in December 2017. If you are coming for a short trip, you might want to start with my posts on 24 hours in Rome or 48 hours in Rome. I love to travel throughout Italy and beyond. You may see some non-Italian posts on my worldwide adventures but you can filter to find Italy or Rome-specific posts from the menu at the top of every page. Even with all the travel I have been lucky enough to undertake for work and for pleasure, Rome is still the most beautiful city I have ever seen. I love the unexpected corners of Rome, and the delicious Rome restaurants (naturally). If this is your first time on the blog and you are thinking of moving to Italy, I would recommend starting with the posts on practical expat information. Want to keep in touch? You can subscribe to posts by email to be notified whenever there is something new on the blog. More into monthly roundups? Join the newsletter mailing list. You can also feel free to contact me anytime. I do my absolute best to respond to messages. Finally, you will find interviews and more information about commissioning content development (did I mention I am a writer? no?) under the Press section of this site. love your blog, especially the metro police post ( happened to me ) , I still can’t believe they made you pay 50 euros! If your ever in Florence, let me know e prendiamo un caffe! Georgette- it happened to you too?? Every time I see an ATAC officer, my heart beats a little faster. Florence is on my list of to-visits, so I’ll definitely let you know. Ditto if you’re ever in Roma! Fun blog! It took me back to our first year in Italy! Enjoy every second of it, it is such a wonderful place to live at. If you are back in southern CA, we could try and find a good BAR to meet at. Hi, I really enjoy reading your blog! I just moved to Rome from New York City to pursue doctoral studies at Sapienza University of Rome. I’ll be here for at least 2 years so I’m looking to meet other young American expats living here. I’m still adjusting to the whole new lifestyle here in Italy. If you have any tips to offer for a new girl in Rome that would be great! I am an american living in Florence, but my bf and I want to move to Rome and I want to enroll to La Sapienza and of course because its Sapienza its impossible to find any kind of assistance or real information on anything. If there any thing you tell me of your enrolling experience (as an american enrolling there) that could help me on my way it would be much appreciated!! My email is walters12@up.edu. P.S. I really love this blog! And I remember last summer when I moved to Italy the first time I thought it would be magic and gelato too. It was mostly just sweating, unhelpful rude people and almost getting run over a lot. Hi! I’m italian but unfortunately living in the cold baltic Europe for work, and I came to your site while googling around for some nice picture of Rome, where I was living before leaving. I also enjoyed your comments about ATMs and italian men asking about cooking skills – LOL! I’m not of that kind but I know a lot of my friends that are like this. Thanks a lot for your site and keep it growing up! P.S. : if you have time go to Caffè S.Eustachio (just in front of the Pantheon) for having probably the best coffee in Rome. A bit expensive but it’s worth the price, you have to try it at least once in life. And greet for me Piazza Navona e la Fontana dei Quattro Fiumi, they are so close. Ciao! Marco! Thank you so much for the nice note, and for the tip! I will definitely try Caffe S. Eustachio as soon as I can. Stay warm and come back to Rome! Yes, sure the best coffe in the world. Hello, I have come to your blog via Bagni di Lucca’s blog! Small world. I agree with Marco above that Caffè S.Eustachio is a great experience, and being near the Pantheon (my favourite building in Roma) is a bonus. Well done for getting out there and doing it. You won’t regret having made the break. I have spent plenty of time in Italy over the years and I know it’s not perfect, but there are so many amazing things to see. Enjoy every pannini (or pizza, or gelato, or caffe…)! I’ve linked to my recent 10 week trip and my “regular” irregular blog below. I love your blog, I’m enjoying it alot as I said before. I always wanted to go live in Italy for a year or two, and I keep asking my husband if it’s gonna be possible for us to do someday… my dream is to explore every city in Italy form North to South and taste every italian specialty… and maybe work at some restaurant or a pasticceria. A friend told me also to visit Bracciano, I wasn’t sure of it, but now after seeing your pictures, I love it… we might go there…. Nice blog. I came across your blog and I thought I’d write to you to ask you some advice. I’m from Edinburgh, Scotland and I’m going to Rome in 12 days for the first time for a week on holiday and have been toying with the idea of staying there. I thought I would do it later in the year but I have no obligations in Edinburgh tying me down and I’ve wanted to live in Italy since I was a teenager. I’m 29 now. I’m learning Italian and I don’t know if this is a really crazy idea, well it is a crazy idea but I don’t know if it’s viable, moneywise. I’ve been looking for a room on easystanza and have found various options but I would have to view properties when I visit before I made any decision. Do you have any advice you can give me? Did moving involve some months of planning etc. for you as you’re American? Love your blog! I ran across it planning my honeymoon to Italy. I laugh… I just told my husband last week that if I didn’t know him, I would have packed my bags, my mom and moved to Rome to freelance. Then I found your blog. Sounds so wonderful. I’m a Graphic Artist/Illustrator… how’s the job situation over there. Do you have clients here and there? Oh… maybe one day… in the meantime have my honeymoon in September. So, from reading your blog, I need long dresses and comfortable walking sandals. 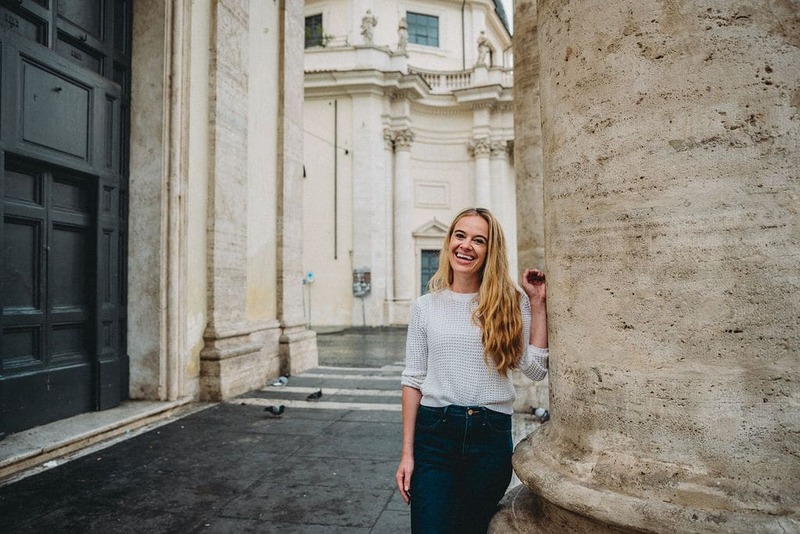 Really enjoying your blog, I moved to Rome in June from Seattle for an internship and I am always looking for expats to hang out with since I left my whole social life behind and Italians are nearly impossible to befriend 🙂 Let me know if you ever want to get aperitivo! I just read your comment to Natalie. I’m from Seattle too but moved to Roma over 4 years ago. Would you like to meet sometime for a caffe or aperitivo? 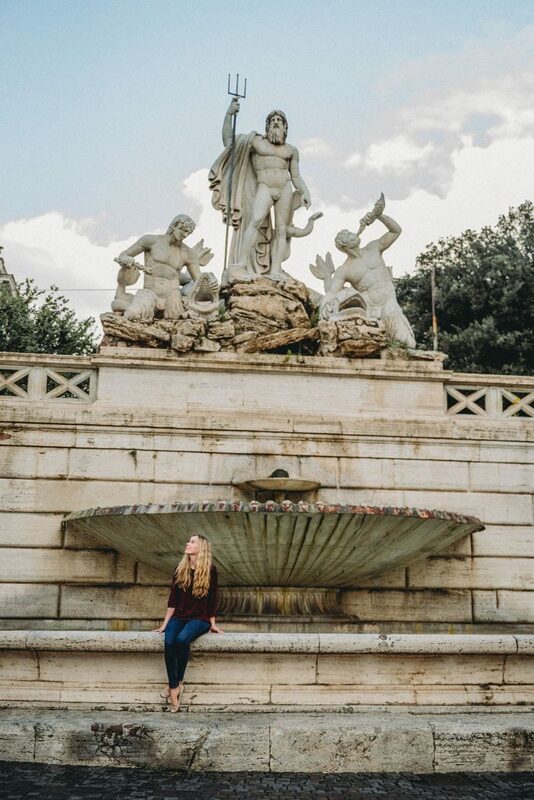 Love Rome and love your blog! I’ve vacationed there many times and I keep going back. Wish I could live there myself. Just wanted to let you know that I discovered your blog recently and now I’m completely addicted to it. I’m moving to Rome from Canada in September (for no reason other than feeling that I need to do something big to make my life more interesting), and I have to admit that I’ve been sifting through and enjoying your archives, all the while getting more and more excited for my own big move. Keep up the great writing, I’m looking forward to reading more! You have no idea how happy it makes me to see a post like yours. I really want to know if you made the move!!! And if you are still there? I’m also Canadian and considering the move. I’m almost 24 and unattached to things here so I figure there is no better time. Would love to hear from you – shoot me an email if you have the chance, I’d be so appreciative. May i (and all of us) follow you one day. Will be in Rome in a few months, ten years after i first landed there on a september morning as student. I have been back a few times but i can only say my being and emotianal temperature are at its center in that great place. Congratulations and it was a pleasure discovering your blog. I stumbled across your blog whilst searching the web to see if anyone else had gone through the nightmare of sorting their Dichiarazione di Valore! I plan to move to Trieste in September to start a Masters in Neuroscience hopefully, but it’s so nice to see someone else who has moved to Italy and to see a well documented take on the new life that you have embraced! Looking forward to the many more interesting stories to come :). I’m also planning to move to Trieste to begin studying languages next year. I have been in Trieste before because friends live nearby but tell me how is it to really live and study there? How do suggest going about getting a work visa? I have visited Rome several times and have finally decided to make the move. I am also finding it challenging to find an apartment via email. Any suggestions? It is really difficult to get a lease without being here. I lucked out because I know my landlord personally. If you are thinking about longterm, then it might be worth (/necessary) to make a trip here BEFORE you get your visa, arrange everything, and then go back to get the visa with your lease in hand. A pain, I know. Sorry! I am really enjoying your blog and your pictures are beautiful! I am getting very excited about my upcoming trip to Rome! I have a favor/question and wondered if you could help. My husband and I are coming to Rome in October and actually get there on a Friday, which is our 10 yr anniversary! I would like to plan a dinner and was wondering if you could recommend a nice restaurant. I would love to go to a local favorite with great food and not too stuffy. We are staying near the Colosseum. Your suggestions would be so appreciated!! I did this very thing in 2006. Sold all my stuff, stored the rest and bought a one-way ticket to Rome. Since I came back to the States I haven’t stopped scheming how to move back… For now, I will live vicariously through you. Thanks…or rather, gracie. It’s always pretty funny to read about living in your city from a foreigner’s perspective and I’m enjoying your blog right now. Hello I am an American student (also from southern California) in Rome at the moment and I just wanted to thank you for this blog. It is so inspiring and helpful when I am out and about in the city. You seem like a pretty cool person and this blog is fantastic! Please keep posting such wonderful little tidbits and I wish you well! Thanks so much, Anne! I hope you are having a fabulous time in Rome! 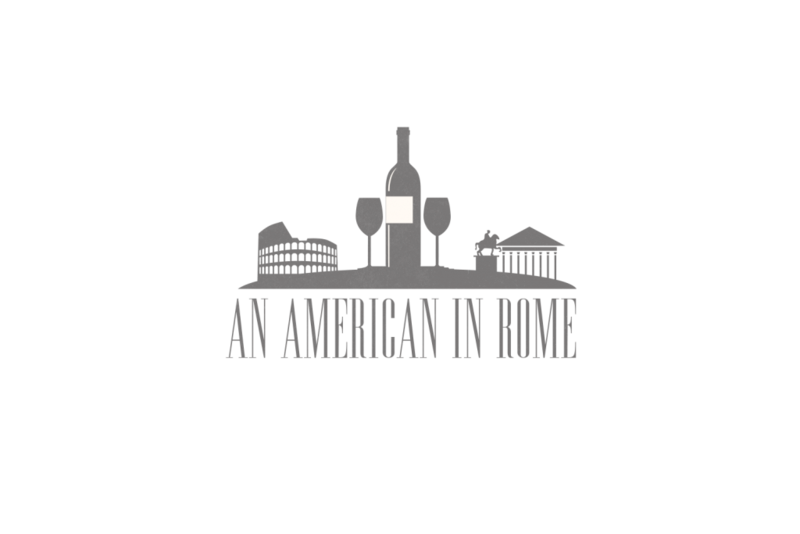 So happy to find your fun Rome expat blog… I love Rome and often seeing myself running away to live there. I’ve had to settle for 9 visits and counting… two of them last year and one in a couple months I think. I am loving your particular experience of every day life in Rome as an American and all your local flavor tips are treasures!!! I’ve been keeping a tumblr photoblog of my time in and obsession with Rome (and Naples) but recently began a more traditional writing/photo travel experience blog on WP of my adventures of being a ‘tourist’ in rome who loves the off the beaten path spots of rome and is trying to get to know the eternal city in a local sense when I steal away to it. Not the same as living there every day – but I am trying! And I realized I was silly to not put down my memories and favorite spots for others to read about and for my own sense of nostalgia. Thanks for creating a great guide and an interesting food centric – yay – rome site. Bookmarking you!!! Hi Rebecca! Your photographs are lovely. Thanks so much for the note– really looking forward to your next posts! Hi Nathalie, dopo aver seguito il tuo blog da un pò, e che adoro, mi permetto di farti una domanda. Avrei voluto scriverti in privato ma non trovo il tuo indirizzo email. Ecco la mia domanda : vorrei approfondire la mia conoscenza della lingua italiana e seguire corsi a Roma in una scuola per stranieri (parlo francese). Una scuola che offre anche attività come visitare luoghi o musei. Sono alla mia pensione e ho tanto tempo ! Mi stavo domandando se tu avessi conoscenza di queste scuole. Sto cercando sul web comunque. Grazie per leggermi. Mi puoi scrivere in privato se vuoi. Scommetto che parli bene l’italiano ? ? I’m so glad!! When does your adventure start? Will you be based in Rome? I am so eager (read: desperate) to connect with someone who is currently living in Rome. I’m a 24-year old Western Candian girl who has just decided that next year is the year I am going to move to Italy. For the most part I have decided where I’m going to be staying, but would love to chat with someone about the actual logistics and possible beaurocratic nightmares that await me. I was in Italy years ago as a child for just a short trip with family, but I am 100% certain I am going to make the move and make this happen for myself. I would be so thrilled to have ANY feedback/advice from someone who has done it themselves. Really hope to hear from you – I’m assuming my email address does get sent to you when I post here? 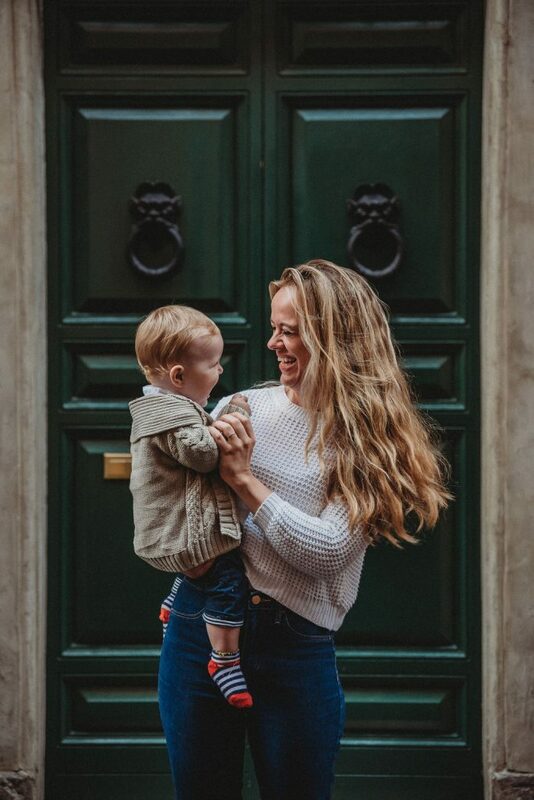 So glad I came across your blog – it’s so heart-warming to see such wonderful pictures and posts about my favourite city. I moved to Rome in 2008 at the age of 22 – I was only meant to stay for 3 months of au-pairing but completely fell in love with the city, found a proper job and ended up staying 3.5 years. Best experience of my life! I’m so glad I made the leap. Leaving (in 2011) was tough, but necessary for my career/life to move forwards… I’m currently living in south Wales and now happily loved up with a fellow Brit. However, I still miss Rome more than any other place I’ve lived, and going back to visit feels like arriving home. I’m so glad I can treasure my memories of that time…. LOVE this advice to just go for it. Totally agree that Rome is worth it. I always say that the worst case scenario is that you go home… which is not so terrifying in the end. Thanks so much for the note– so glad that you feel the same way about Roma. My roommate introduced me to your blog this past August when we started our freshman year abroad at John Cabot. Your information about Rome really helped us transition from high school, to college, to living on our own in a foreign country. I am are currently back in CA for winter break and I’ve found myself constantly coming back to your page in anticipation for my return later this month. Can’t wait to see what you post about next! Hi Maddie! Thanks so so much! I hope that you are enjoying your time home! Hi Natalie! Just found your blog and I love it! Going back to Italy in October for our second honeymoon and want to get the most of out the trip. Your blog is helping me find some great bars & restaurants. But I do need some help with my travels by train. What is the best website to buy train tickets? We’ll be going from Milan->Venice->Florence->Rome->Milan. Thanks in advance, I really enjoy reading your posts. Hi Jessica! Sorry for the short delay but I thought it was worth a post. Here is more info on how to buy train tickets in Italy. Thanks Natalie!!! Very helpful!! Have a great day! Ciao, Natalie! What a wonderful website you have. Happy to have found it (search return while looking for information about driving Amalfitana, busses, or ferries). We’re planning our family’s first visit to Italy from the US late May (2 weeks). The information and photos you share are just marvelous and will help us focus our planning a bit. Thanks, kind regards, B.
I also never planned to live in Italy and then an Italian man decided to change all of that! I’m based in the Veneto area, Padova mainly. Exploring the Dolomites and local towns and cities, its a whole different life to when I was in London. I’ve started writing a blog recently called Finestrella (your peep into Italy) on stories, experiences, images. Head over there for a browse if you are intereted! Tax rates are progressive and range from 23% to 43%. Additional taxes are due at the regional (0.9% to 1.4%) and local (0.1% to 0.8%) levels. If you’re a foreign resident working in Italy, you’re only taxed on the income earned in Italy. I would like to personally congratulate you as your blog An American in Rome – Italy has been selected by our panelist as one of the Top 35 Italy Travel Blogs on the web. I personally give you a high-five and want to thank you for your contribution to this world. 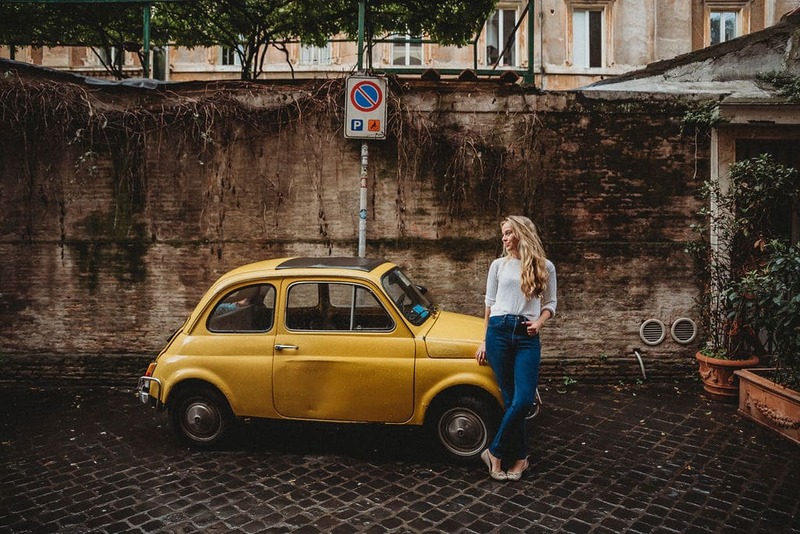 This is the most comprehensive list of Top 35 Italy Travel Blogs on the internet and I’m honored to have you as part of this! ah ok ho letto ora che sei sposata , peccato, fortunato tuo marito. In bocca a lupo. This blog is absolutely fabulous, particularly as someone who is currently considering moving to Italia! I got so wrapped up in reading post after post that I completely missed my bus stop this morning. Thank you for all the incredible information and additional inspiration in considering making Italia my new home. Extra shoutout to Gardenia Cheung-Lau for introducing me to your blog! Great blog Natalie! I ended up in Rome too after a language exchange but in 2015 I moved to Milan, which is not so bad in the end and I’m writing about my life in Milan. However, I’m missing the Eternal City every single day! Hi, love your blog. My girlfriend turned me on to it as we are making our second trip to Rome this month. Love Rome. I would love to live there. Thanks so much! I hope you have an amazing trip and that it brings you closer to that move! Ti darei la cittadinanza onoraria!! This is a great blog! I just arrived in Rome this morning and wish I had found it before so I could have planned more. I’m here with my two kids (7&12) and was wondering if you know any good tour guides who know how to make it all even more interesting for kids? Or perhaps a pasta making class for families? Hey Natalie, I love everything in your blog and actually i’m jealous 🙂 I’m in Rome this year for studies and i just began to create my own blog about the city and my experience but it’s nothing compared to yours !! Anyway, i was wondering wich camera do you use to take your pictures ? They’re amazing. I came across by chance into your beautiful blog! I’m Italian, but I moved with husband in Philadelphia (Pa) in 2013. I wanted to tell you that I’m so glad that you’ve created such accurate and detailed blog about Rome (and Italy in general). It’s very helpful and rich of information, for all those interested in visiting or even moving to the Eternal City. And… IN BOCCA AL LUPO for your work! Hi Cristina! Thank you so much for your kind words! I hope you are enjoying Philadelphia life, and I am so glad that the blog offers a detailed guide. Crepi il lupo! I’m so glad! I love Faro! Hi, I just found your blog and I am looking forward to reading it. My husband and I are currently planning our first trip to Italy and plan to spend at least four days in Rome. I will probably have questions for you once I read all your posts. Wow! I just stumbled on to your blog. I’m accompanying my about-to-be 88-year-old dad to Rome next week. I can alread tell that the info on your blog and your app that I just downloaded are going to be a great help. Thank you for sharing! Love your informative site! I lived in Rome a number of years ago and travel back as often as possible. It’s my favorite city in the world! I’ll definitely be reading your articles before my upcoming trip in July. I’m especially interested in the best places to find shoes (saw your Italian leather boot reco). I can’t go back to California without a pair (or two)! Oh wonderful! My favorite shoe store closed but Angelo on Via Giubbonari is reliable. I have just started planning a visit to Italy for the beginning of next year. I love your blog. Thank you for all the information. I have never been to Italy; however I have done a good amount of traveling. I will be traveling with my significant other (his first time in Europe!) and two of my good friends who are also avid travelers. I am going to write down all your pointers. Thanks again! Loved you page ! Thank you for what you do. Lots of great information. You sparked a tee shirt idea…. I’ve just booked a trip to Italy with my husband in October. I’ve wanted to see Rome since I watched Audrey Hepburn in Roman Holiday when I was 7 years old–35 years ago! I cried when I booked the flights 🙂 Your site is everything! Your photos are all the eye-candy I need for the next 8 months. Ciao, I am an American gay man living in Rome. I speak Italian and my father is from southern Italy. I have a few Italian boyfriends. Any dating tips for foreigners dating locals? Gay or straight dating issues are probably pretty much universal. I will note to gay travelers that Rome is no gay mecca but using dating apps can help you meet fun nice locals. But I warn to avoid using apps often as Italian men seem to like to meet foreigners especially Americans and this could spread you too thin. It’s easy to alienate yourself from everyone if word spreads you’re a flake. Use discretion. Just as you a am from Southern California, born and raised (San Diego, Ca). I just arrived to Rome 3 days ago with no return ticket. My plan is to teach English. Thank God I read your article about the Permessi di Soggiorno!!!!! I am on it!!!! I am so in love with your blog! I went to Rome three years ago and used your blog as a guide to plan my trip and I had the best time and all of your suggestions were super helpful! (I mean I would’ve never thought to eat fried artichokes but OMG YUM) I am now planning my wedding and honeymoon in Italy and was so happy that you’re still blogging and making amazing content! So excited to look through all of the places you’ve been to and all of the amazing food you’ve eaten so I can plan my trip! ALSO I love your photography all of your pictures are swoon worthy and are definite photography goals. If you dont mind me asking, what camera do you use? Thank you so much for being an amazing blogger! Thank you for such a kind comment! And congratulations on your upcoming wedding! Enjoy your time in Italy and take lots of photos!